State police have not determined if the death of the man found this morning at 2349 Riverside Drive, on the property next to the Maine Criminal Justice Academy, was a homicide. 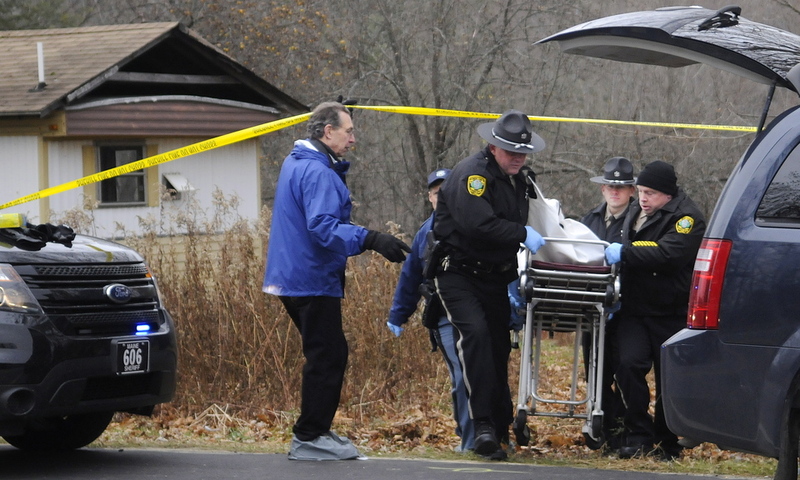 VASSALBORO — Police identified a Waterville man as the person whose body was found outside an abandoned mobile home Friday morning, a case authorities continued to call a suspicious death. Found dead was Thomas Namer, 69, of 89 Pleasant St., according to Maine State Police spokesman Steve McCausland in a news release. McCausland said the state medical examiner was conducting an autopsy Friday afternoon, but the results were not expected to be released until later. The man who lives next door to where Namer’s body was found was taken into custody by police on an unrelated charge. Courtney D. Shea, 30, was arrested on a charge of probation violation and taken to the Kennebec County jail, McCausland said. He said detectives questioned Shea and determined he had violated probation on a robbery conviction. 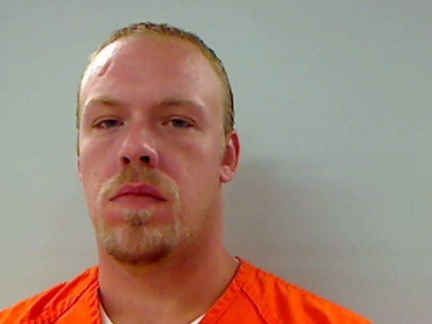 The conviction stems from an incident on Sept. 7, 2009, when he threatened a clerk at The Big Apple store on Elm Street in Waterville with a tire iron, according to court records. In 2008, he was convicted of arson after he torched a neighbor’s pickup truck. He also has convictions for operating with a suspended license and unlawful possession of the seizure and panic disorder medication Klonopin. In Vassalboro on Friday, police interviewed people in the area and were trying to piece together what happened, according to Lt. Chris Coleman of the Maine State Police. McCausland said investigators interviewed several people in an attempt to retrace Namer’s footsteps Thursday night. He said state police detectives gathered unspecified evidence from the area and it will be analyzed at the state police crime lab. The investigation will continue over the weekend, he said. A neighbor called 911 a little before 7 a.m. and said he saw a body on the property next door, an area near the Maine Criminal Justice Academy. The body was on the ground outside of 2349 Riverside Drive, U.S. Route 201, according to Sheriff Randall Liberty of the Kennebec County Sheriff’s Office. The 2349 Riverside Drive address was listed in court documents as Shea’s residence when he was convicted of robbery. Coleman said earlier Friday police didn’t know whether the man died on the property or if he was brought there. “We have detectives and deputies interviewing several people, and at this point, we’re still not in a position to understand what happened,” he said. 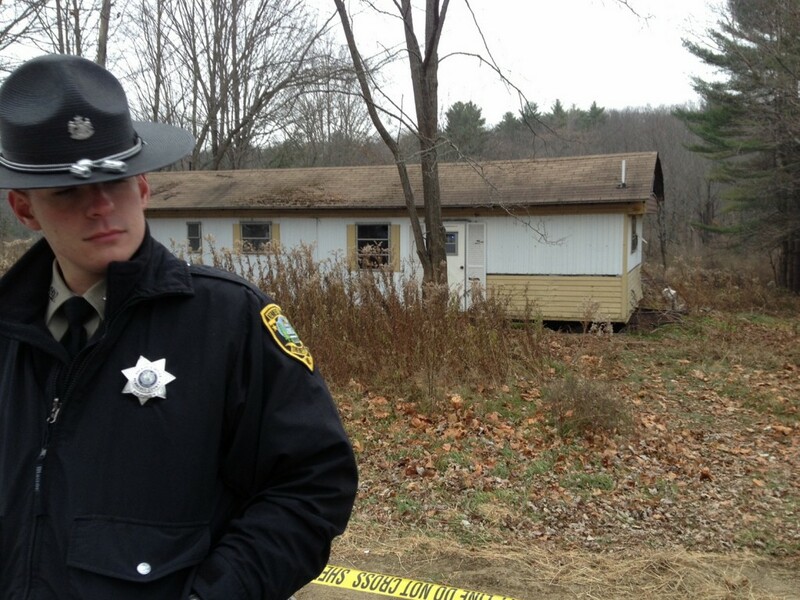 Maine State Police and Kennebec County Sheriff’s Office are investigating.